Ready for your next move. 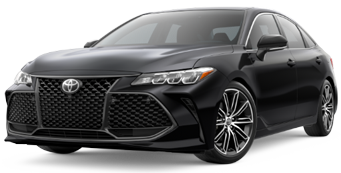 Intricately designed LED front headlights and rear taillights on Limited and Touring feature dynamic auxiliary turn signals that shine a light on Avalon’s precision and premium feel. Avalon Limited has a unique perforation pattern on its seats, and high-end quilted two-tone stitching flowing from the door panels to the seats. Avalon Limited features genuine wood across the dash and door panels to highlight the quality that goes into this flagship vehicle. 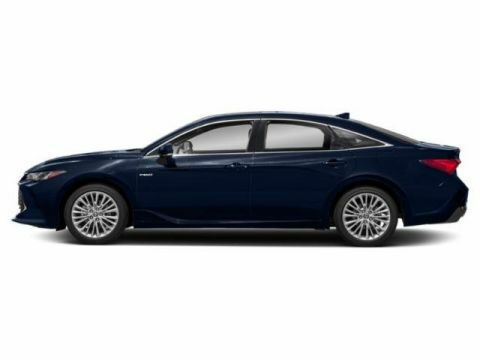 The large center instrument panel is what gives Avalon’s interior a distinctive look. Seamlessly integrating the 9-in. touch-screen display and the air conditioning panel makes the unit appear as if it were floating in front of the dash. Avalon Touring’s new Adaptive Variable Suspension (AVS) provides instantaneous damping adjustments to maximize handling and stability on every road. 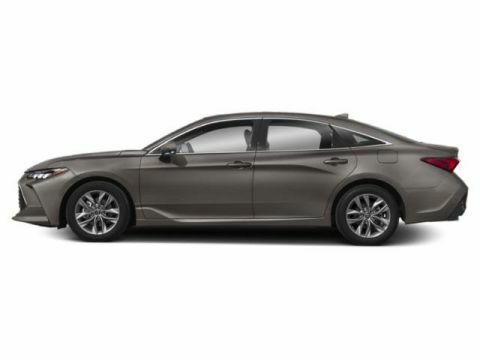 The 3.5-liter V6 engine delivers 301 hp with less fuel consumption. 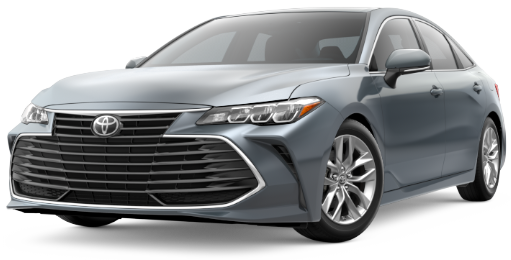 Equipped with the latest technology, like Variable Valve Timing-intelligent Wide (VVT-iW) and D-4S direct-injection, paired with a smooth Direct Shift 8-speed transmission, Avalon can deliver whenever you feel the urge. Found within the floating center stack is Avalon’s next-generation Entune™ 3.01 system. A large 9-in. Multimedia touch-screen display comes with pinch-and-zoom navigation controls that are intuitive and easy to use. Get important information and fun for the road with Entune™ 3.01 App Suite, and connect up to five devices using its onboard Wi-Fi Connect Powered by Verizon2 hotspot. 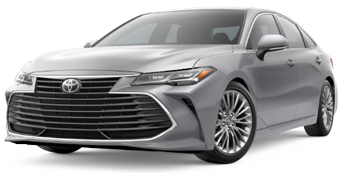 A Toyota first, Avalon offers Apple CarPlay™3 support as a standard feature. Pair your compatible iPhone®4 and get directions, make calls, send and receive messages, and listen to your own playlist - all while maintaining focus on your drive. 3Apple CarPlay® is a registered trademark of Apple Inc. Apps and services subject to change at any time without notice. 4iPod®, iPhone®, and App Store are registered trademarks of Apple, Inc. All rights reserved. Experience the sound of luxury through Avalon’s available JBL5 w/Clari-Fi™6 audio system. With 1200 watts, 14 speakers, 7.1-channel surround sound, high-quality hardware, software and structural engineering, phenomenal sound is delivered to amp up every drive. 5 & 6JBL® and Clari-Fi™ are registered trademarks of Harman International Industries, Incorporated. No wires. No worry. Avalon features available Qi-compatible wireless smartphone charging.7 Simply place your Qi-compatible device underneath the center stack’s non-slip surface to easily charge it up. And if you do need to hook up, easily connect to one of five USB 2.0 ports8 that let anyone find a connection from any seat. 7Qi wireless charging may not be compatible with all mobile phones, MP3/WMA players and like models. When using the wireless charging system, avoid placing metal objects between the wireless charger and the mobile device when charging is active. Doing so may cause metal objects to become hot and could cause burns. 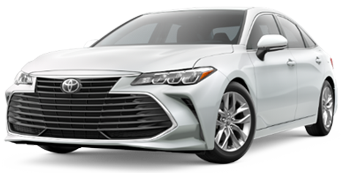 Power tilt/slide moonroof with sliding sunshade and Qi wireless smartphone charging available early fall 2018 on XLE and Hybrid XLE models. 8May not be compatible with all mobile phones, MP3/WMA players and like models. Avalon’s available Bird’s Eye View Camera9 with Perimeter Scan uses front-, side-, and rear-mounted cameras to display a composite view as seen from above. 9The Bird's-Eye-View Camera does not provide a comprehensive view of the area surrounding the vehicle. You should also look around outside your vehicle and use your mirrors to confirm surrounding clearance. Environmental conditions may limit effectiveness and view may become obscured. See Owner’s Manual for additional limitations and details. Avalon’s available Intelligent Clearance Sonar (ICS)10 warns you both audibly and visually when it detects nearby pedestrians or vehicles. Rear Cross-Traffic Braking (RCTB)11 is designed to reduce engine power and apply the brakes if necessary. 10Intelligent Clearance Sonar (ICS) is designed to assist drivers in avoiding potential collisions at speeds of 9 mph or less. Certain vehicle and environmental factors, including an object's shape and composition, may affect the ability of the ICS to detect it. Always look around outside the vehicle and use mirrors to confirm clearance. See Owner’s Manual for additional limitations and details. 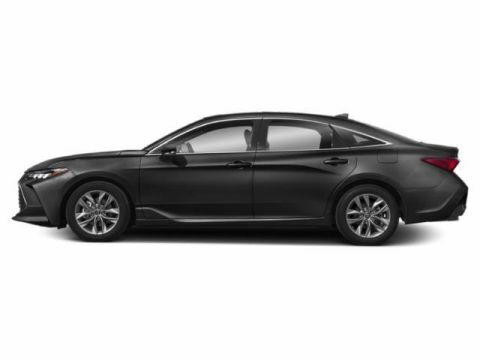 11Do not rely exclusively on the Rear Cross-Traffic Braking system. Always look over your shoulder and use your mirrors to confirm rear clearance. There are limitations to braking capability and the function, detection and range of the sensors. See Owner’s Manual for additional limitations and details. The Blind Spot Monitor (BSM)12 is designed to warn you when a vehicle in the next lane enters Avalon’s blind spot on either side. When in Reverse, Rear Cross-Traffic Alert (RCTA)13 helps detect vehicles approaching from either side, warning you with side mirror indicators and a warning tone. When equipped with the available Bird’s Eye View Camera14, visual alerts are also shown on multimedia display. 12Do not rely exclusively on the Blind Spot Monitor. Always look over your shoulder and use your turn signal. There are limitations to the function, detection and range of the monitor. See Owner’s Manual for additional limitations and details. 13Do not rely exclusively on the Rear Cross-Traffic Alert system. Always look over your shoulder and use your mirrors to confirm rear clearance. There are limitations to the function, detection and range of the system. See Owner’s Manual for additional limitations and details. 14The Bird's-Eye-View Camera does not provide a comprehensive view of the area surrounding the vehicle. You should also look around outside your vehicle and use your mirrors to confirm surrounding clearance. Environmental conditions may limit effectiveness and view may become obscured. See Owner’s Manual for additional limitations and details.